President Cyril Ramaphosa says South Africa will work with countries in the continent to rid the world of unemployment, poverty and inequality. He was addressing new ambassadors and heads of missions who are assigned to the country. These new diplomats are from Angola, Zimbabwe, Jamaica, Indonesia and Mexico among others. This was his first reception of diplomats since becoming president in February this year. Ramaphosa singled out the recent signing of the agreement on the African Continental Free Trade Area as key to the realisation of economic integration in Africa. At least 44 countries including South Africa have signed the agreement adopted at the last African Union (AU) Summit in Rwanda. The Continental Free Trade Area will amongst others allow the free movement of goods and people in the continent. The new diplomats are equal to the task, with Ambassador Filomena Delgado from Angola saying she hopes for better relations with mutual economic spinoffs. Zimbabwe’s Ambassador to South Africa, David Hamadziripi, says his mission is to ensure Harare becomes the next best investment destination for South African companies. Jamaican Ambassador Veronica Comfort hopes to broaden trade and strengthen contact. 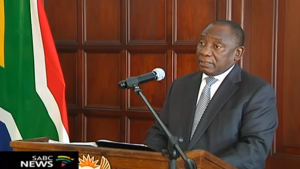 The post Ramaphosa urges improved economic integration in Africa appeared first on SABC News – Breaking news, special reports, world, business, sport coverage of all South African current events. Africa's news leader..
With the icy cold weather gripping the country, temperatures are expected to drop on Tuesday night below zero degrees celsius. Motorists have been advised to drive with caution in the regions where recent snow had fallen and could now be melting. Temperatures are expected to remain low for the rest of the week. Several passes had also been closed due to heavy snow falls. 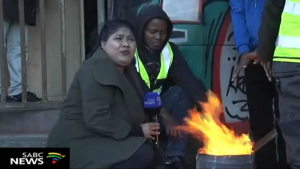 The post Temperatures expected to drop even further appeared first on SABC News – Breaking news, special reports, world, business, sport coverage of all South African current events. Africa's news leader.. Striking drivers of the e-hailing taxi services Uber and Taxify have threatened to remain on strike until their demands are met. However, they did not proceed to Taxify’s offices in Bryanston after handing over a memorandum of demands to Uber management in Krammerville near Sandton. They have given Uber until Thursday to respond to their demands. They want the 25 percent commission received by the company to be immediately reduced to 15 percent. They are also demanding better rates in light of fuel hikes and that the two companies stop training more drivers and putting more cars on the road, saying they are even struggling to make a profit because the market is too congested. 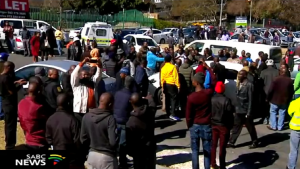 Non-striking Uber and Taxify drivers were pulled over and forced to join the protest by their striking colleagues at various locations such as OR Tambo and Lanseria airports, as well at a number of Gautrain stations. The situation was no different at Zoo Lake where hundreds of drivers gathered on Tuesday morning before making their way to Uber’s offices in Krammaville near Sandton. However, they were made to wait for about three hours, with management unwilling to engage them. “Uber is a very arrogant organisation. Uber was forced by the SAPS to send management to come receive the memorandum. They were highly unwilling; they come out to receive it under duress. They call us partners but they’re so afraid to engage with their so-called partners. So it goes to show that there’s not partnership here, it’s just on-going exploitation. And they feel no need to justify their actions to us,” says Spokesperson for the drivers Vhatuka Mbelengwa. The march was also supposed to proceed to Taxify’s offices in Bryantson. “We sent out a team to the Taxify offices and there was absolutely nobody there. They had completely absconded. They had abdicated responsibility of engaging with us. So we saw it fit not to proceed forth to Taxify. We’ll re-strategize, and at a date sooner rather than later, we’ll go to Taxify,” says Mbelengwa. The post Uber, Taxify drivers remain on strike appeared first on SABC News – Breaking news, special reports, world, business, sport coverage of all South African current events. Africa's news leader..
KwaZulu-Natal Premier Willies Mchunu has condemned the racial comment making rounds on Facebook, in which the user is inciting violence against the Indian community. In his comment, the user says Indians should go back to India, or suffer the consequences – making inferences to the recent death of a young girl in a botched hijacking in Chatsworth, south of Durban. The subsequent outbursts on Facebook have created much racial tensions, to which a local businessman has laid charges. Mchunu says he will be instructing a team to investigate, so that the user responsible will be charged accordingly. Chairperson of the Grey Street Mosque, Ahmed Valley Mohammed, says the Indian community is tired of being the soft target, when it comes to crime. He says he believes prayer is greatly needed in South Africa. The post KZN premier lambastes racial attack on Indians appeared first on SABC News – Breaking news, special reports, world, business, sport coverage of all South African current events. Africa's news leader.. 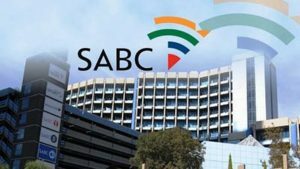 The South African Broadcasting Corporation (SABC) says South Africans can, from Monday, look forward to reworked and rebranded programming across its television, radio and online platforms. The public broadcaster says the changes are designed to keep up with the modern broadcast environment and emerging digital opportunities. The SABC says this includes providing a premium source of news in South Africa and the continent. The changes will start being implemented from Monday, including a faster paced Morning Live programme on SABC 2. SABC News on all radio platforms will have a distinct signature tune for news bulletins that will reflect the identity of their premium news source. The post SABC to rebrand programs appeared first on SABC News – Breaking news, special reports, world, business, sport coverage of all South African current events. Africa's news leader.. The KwaZulu-Natal Department of Cooperative Governance has established a team to investigate the alleged death threats directed to the Auditor General’s staff auditing eThekwini Metro’s books. 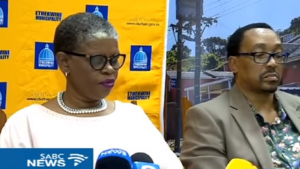 Earlier, eThekwini Mayor Zandile Gumede briefed the media and expressed her concerns following the incident. MEC for Cooperative Governance in the province Dube Ncube says they are concerned about reports that auditing staff, which have been auditing books from eThekwini Metro, have received death threats. It alleged that the audit staff received these threats after they requested certain documents from both Supply Chain Management and the city’s Integrity and Investigations which are crucial in their audit work. Gumede and City Manager, Sipho Nzuza expressed concern about these threats. Gumede, who was abroad, had to cut short her trip when these reports surfaced. According to the Mayor the municipality will together with law enforcement agencies provide security to the AG’s staff when they come back to do their work. City Manager Sipho Nzuza says the Auditor General’s staff was not necessarily auditing municipal accounting records, but was testing municipal controls on supply chain management. Meanwhile, the MEC for Cooperative Governance will on Monday meet with the KwaZulu-Natal Head of the Auditor General’s office. The post KZN establishes team to investigate alleged death threats to AG’s staff appeared first on SABC News – Breaking news, special reports, world, business, sport coverage of all South African current events. 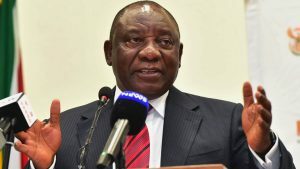 Africa's news leader..
President Cyril Ramaphosa has authorized the Special Investigation Unit (SIU) to investigate serious irregularities in several municipalities and government departments. The national Department of Public Works‚ the KwaZulu-Natal Department of Transport and the two Eastern Cape metro municipalities – Nelson Mandela Bay and Buffalo City – are among those under investigation. Ramaphosa signed the broad range of proclamations in Pretoria. The SIU will among others investigate the procurement of goods and or services in a manner that was not fair, competitive, transparent, equitable or cost-effective contrary to the applicable legal framework. Nelson Mandela Bay mayor, Athol Trollip has welcomed the announcement of a series of investigations by the Special Investigative Unit into municipalities including the Nelson Mandela Metro. Trollip says R8.8 billion of irregular expenditure, as noted by the Auditor General this week, must be the focus of the investigation. He says it was spent by previous administrations who failed to preserve relevant documentation. Trollip says the SIU must carry out its mandate and support the coalition government to clean up years of maladministration. The post Ramaphosa authorizes SIU investigation into several municipalities appeared first on SABC News – Breaking news, special reports, world, business, sport coverage of all South African current events. 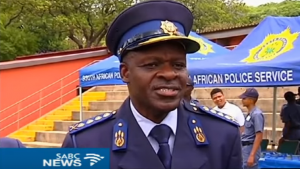 Africa's news leader..
National Police Commissioner General Kehla Sitole on Friday officially launched an operation to combat gang violence in the Western Cape, at a community meeting in Lavender Hill, on the Cape Flats. Operation Thunder will see 269 police members from specialised units being deployed to hotspots which have been identified in the province. Sitole says the aim of Operation Thunder is to stabilise gang ridden areas in the Western Cape where crime is rife. He says they will also be migrating more resources from across South Africa, to the Western Cape, to improve policing in the province. ” There’s quite a lot of resources that will be coming from National Headquarters, Provincial Headquarters, we are pushing them down to police stations so that we make optimal use of the resources and we take the resources where the crime is. So some of these police stations here, they will benefit out of that process which will include even the upgrading of some of the police stations,” says Sitole. The post Police Commissioner takes crime head on in Cape Flats appeared first on SABC News – Breaking news, special reports, world, business, sport coverage of all South African current events. Africa's news leader.. Residents in the south of Johannesburg have warned they may resume their protests, citing disappointment with Saturday’s feedback provided by Gauteng Human Settlements MEC Uhuru Moiloa on their housing demands. Moiloa says the province has identified portions of land where close to 60 000 housing units will be built in the area. He addressed residents of Eldorado Park, Freedom Park, Finetown, Ennerdale and other nearby townships at the Eldorado Park Stadium on Saturday. 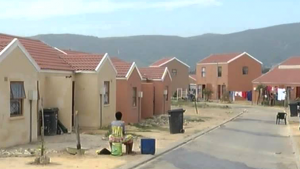 The MEC said the province was now waiting for the City of Johannesburg Mayor to sign the power of attorney before the process of building houses could commence. However the community was not impressed. The post Ekurhuleni residents threaten protests over housing issues appeared first on SABC News – Breaking news, special reports, world, business, sport coverage of all South African current events. Africa's news leader.. The subscription television broadcasting services came under the spotlight at an inquiry at Independent Communications Authority of South Africa’s (Icasa) offices in Sandton, Johannesburg. The regulatory body held public hearings as part of its mandate to promote competition in the broadcasting and the Information and Communications Technology (ICT) sectors. The purpose of this inquiry is to establish factors that have contributed to new broadcasting licensees not being able to successfully launch their services and attract a number of new subscribers. The South African Broadcasting Corporation’s main bone of contention in this inquiry is what it describes as unfair competition from its competitors. 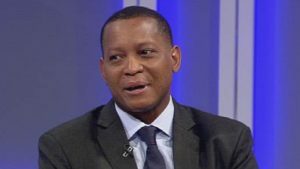 SABC Chief Operations Officer Chris Maroleng is worried about advertising limitations among other things, saying some of the public broadcaster competitors seem to be benefiting from more advertising, and this gives them an unfair advantage. The public broadcaster has proposed that the current regulations be amended to level the playing field in the broadcasting sector. Following this inquiry the information collected will be published for further consultation. The post Subscription TV broadcasting services on spotlight at Icasa inquiry appeared first on SABC News – Breaking news, special reports, world, business, sport coverage of all South African current events. Africa's news leader..